I am in FULL FALL MODE over here! My diffuser has been running nonstop as I am soaking in all of my favorite fall scents. I love the benefits that the oils offer, over toxic candles (and soy gives me a headache). I have put together a few of my favorite autumn diffuser recipes, a link to purchase the oils, and some diffuser suggestions. I am a current member of Young Living, and would love to talk to you more about my favorite oils and how I use them. I highly encourage you to research where your oils come from, how they are sourced, and what they contain (therapeutic grade). MANY oils you purchase off the shelf still contain synthetic compounds and are not therapeutic grade. This post contains affiliate links. I love to share my favorite finds, and all opinions are always mine. 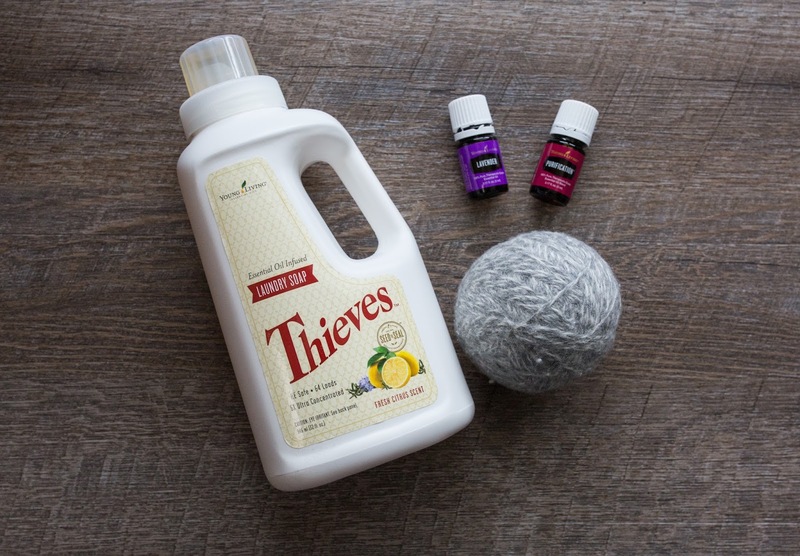 One of my favorite fall must haves is the Thieves blend. This blend includes clove, lemon, cinnamon, eucalyptus and rosemary. 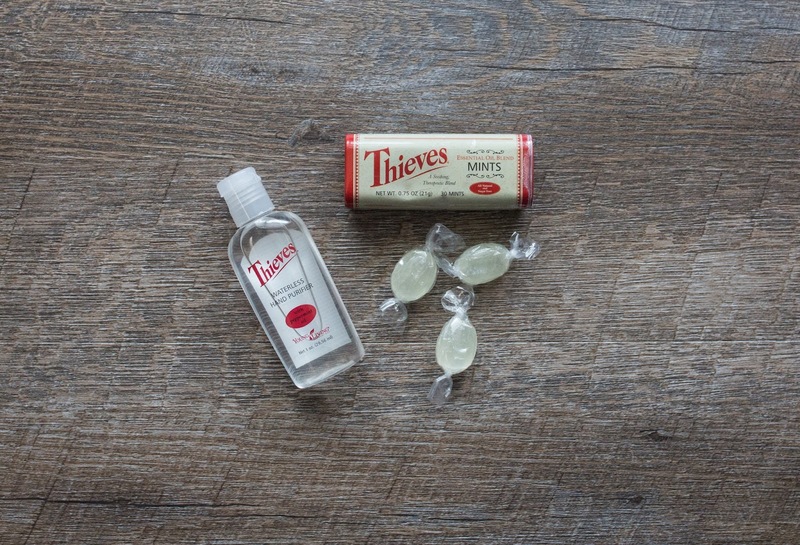 It is perfect for diffusing, and also comes in a variety of other products like household cleaner, laundry soap, hard lozenges, mints, spray and hand purifier. I especially love using the spray on a scarf when traveling, or around a group of little ones. The Purification oil is the only thing that keeps my house from constantly smelling like two wet dogs. If company is expected, this oil immediately goes into the diffuser. People have even said my house smells NICE!!! I also use this, combined with Lavender, for my homemade wool dryer balls. My laundry smells fresh every time! People always wonder what oils to start with. I highly suggest Lavender, Lemon and Purification. There are a few that I swap between to apply as a fragrance including Joy, Awaken, and Oola Balance. I always feel like I get more value in blends. A diffuser is included with each Young Living starter kit. There are a few to choose from, including the Dew Drop Diffuser, the Home Diffuser, the Rhinestone Diffuser and the Aria Ultrasonic Diffuser. I have and love both the Home and Aria Diffusers. I get compliments on the Aria all of the time! If you purchase oils individually from the website, you can purchase a diffuser on Amazon. This VicTsing Diffuser and this URPOWER Essential Oil Diffuser both have high ratings. A diffuser is the easiest way to have your home smelling like autumn in no time! You may order these oils (and many more) through my website by selecting the ORDER button at the top of the page. This will take you to the Young Living website, where you can select to join as a Member (and save 24% on all future orders) or as a Retail Customer. You will then be directed to enter your name, address and create an account for future orders. If you sign up as a Member and order a starter kit, it will include 11 5-ml bottles of the following: Lavender, Lemon, Peppermint, Copaiba Vitality, Frankincense, Thieves Vitality, Purification, R.C., DiGize, PanAway and Stress Away. One of the following may be substituted, depending on availably: AromaEase (another fall favorite), Citrus Fresh, Vitality, Lemongrass Vitality, Orange Vatality, or Tea Tree. As previously mentioned, there are a variety of diffusers to choose from. As a Member, you are never obligated to any future purchases. I hope you enjoy bringing those fall scents in doors and start experimenting with your own diffuser blends. Some of my favorites are just around the corner with the holiday season approaching. Watch late next month for my favorite blends to bring that fresh cut Christmas Tree Farm smell right into your home! PS - Diving into essential oils can be overwhelming, so please do not hesitate to email me at myfavoritemusings@gmail.com if I can help you become more familiar with the oils, offer suggestions on use, or information about signing up as a Young Living Member.